The clocks have sprung forward to kick start April and your horoscopes! We may lose an hour but more daylight has given us more time to enjoy the days ahead! 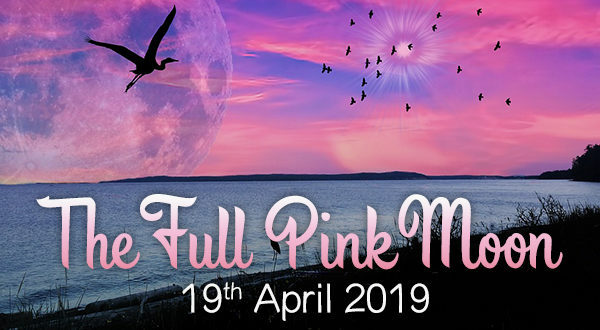 The Full Pink Moon will be shining bright here on 19th April, which is also a Full Moon in Libra. Before that we have the refreshing feeling of a New Moon in Aries on the 5th. 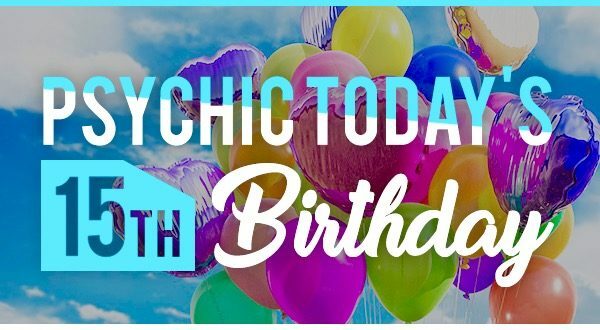 Most excitingly we have our Psychic Today Birthday! We will be 15 years young on April 18th! 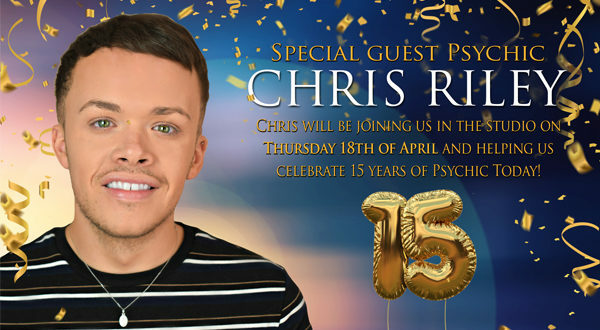 Be sure to join us for celebrations and maybe a surprise offer to say thanks to all you lovely viewers who have watched with us! This April may bring a few of those gossips out, Aries. If you find you are the subject: do not attempt to defend yourself. You are far better served taking a look at long term goals and simply focusing on that, now. As the month goes on, you may feel more drawn towards those you love and seeking support there. Nothing wrong with that! As you continue to consider ways to make things more stable, Taurus, you may find outside influences hinder more than help. Do not allow others to invade your space, mentally or otherwise. Tighten the circle and keep to those who are both a priority to you – and who prioritize you. In order to continue moving forward on your long term goals: knowing who and what is most important will be essential. Your mind might be a bit more active this month, Gemini. Though you may find some things appear to be suspicious, holding back and waiting is best. You will discover as all the facts emerge: things aren’t as bad as you might have feared. Giving yourself enjoyable outlets and distractions can help you keep the peace. Though you may find your moods shift a bit this April, Cancer, on the whole it will be good. As you work more towards your long term goals, you feel more confident. Being able to stabilize things around the home front can bring a lot of harmony. You will also find that allowing yourself to be open with others brings support. You are going to find yourself feeling a bit more emotional this month, Leo. Take care not to give in to the first reaction you have. Instead, pull back and consider all of the options. As you wait to respond, you may find other facts emerge which change the situation. Give yourself and others time to come to a better place of understanding before you take actions or say things. Though you’re probably feeling a bit removed from drama, Virgo, some may try to draw you in. This April, it’s really best if you avoid the distractions of others. As you continue to work through your own plans, you’ll find the drama subsides. There’s no need to play diplomat, or listen to gossip as those things will pass. Your success, however, will not. This month might be a bit hectic, Libra. Be careful not to make choices based on what others may think. You may encounter some anger at this, but it’s important to wait until you know for sure. If you do feel strongly about a situation, taking a stand is your best option for now. Though this April opens on a bit of a dramatic note, it stabilizes with you, Scorpio. Organize your thoughts, ideas, and plans. Focus what’s on important for now and you’ll find the gossip and otherwise falls by the wayside. You’ve got this Scorpio! Though you may be feeling a little shaky this month, Sagittarius, things are still moving forward. A little doubt here and there is normal as you go after what you want. This April, you may find challenges really have you questioning things. It’s important to listen to your heart, rather than outside influences. You may find that it seems a frustrating climb, Capricorn – but a climb nonetheless. Be mindful of your friends and loved ones who are hurting during this time. Your support and care is likely more important than you think. Continue putting steps in motion forward, but take time for being connected, as well. Though you may not have any real drama going on this April, Aquarius, those you’re close to may. It’s really best to duck your head down and steer clear of it. Instead, focus on your plans for the future and moving forward. Whatever is going on between them will resolve itself. You may be feeling a bit introspective this month, Pisces. This is the better course of action than getting involved in others’ issues. Go ahead and take a step back to better organize things and then focus. You will discover that you make opportunity out of almost seemingly thin air this way.